I don’t know if you remember, but in 2014, System Magazine asked Miuccia Prada to explain the differences between her main line and Miu Miu. According to the interview, designing at Miu Miu is much less complicated for Miuccia, whereas at Prada, it’s sometimes a struggle – the label is a synonym of ‘sophistication’, both for women’s and men’s fashion. 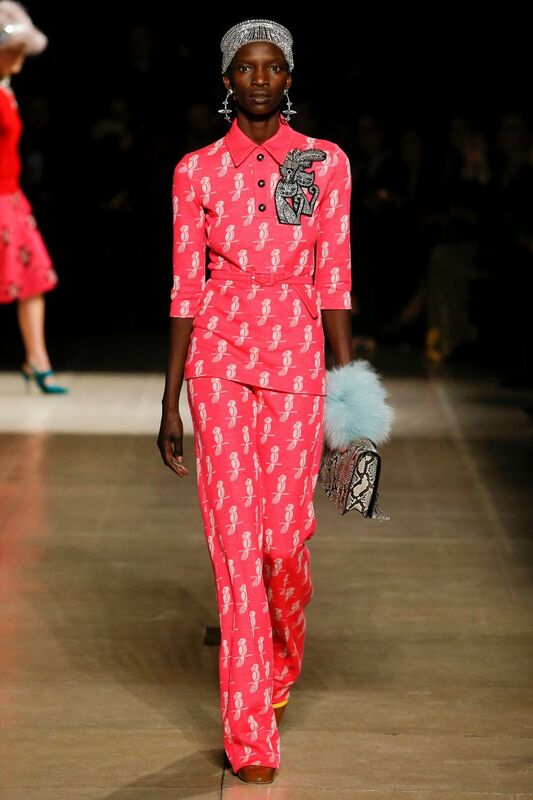 Miu Miu’s soul is naive; spontaneous; immediate. 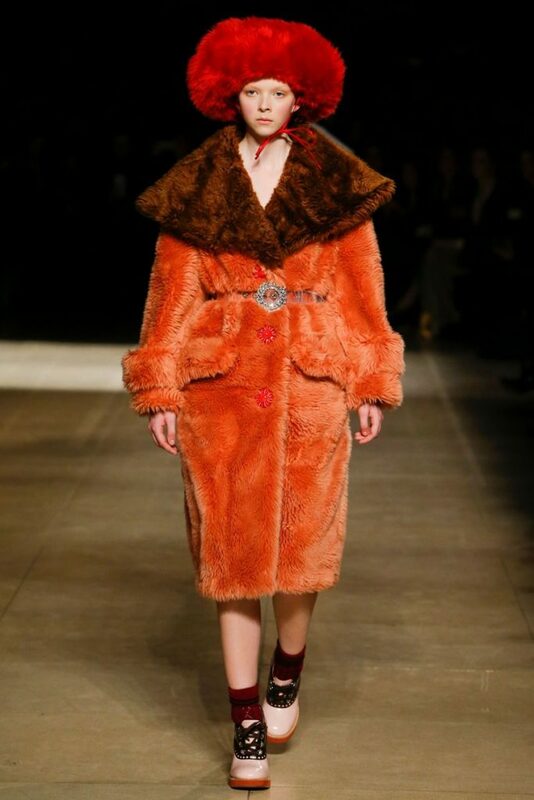 For autumn-winter 2017, I didn’t get those three terms at Miu Miu. Edginess is definitely something that accompanied a Miu Miu girl throughout the years – but this season, it’s too much. Not that I don’t have a soft spot for purple faux-fur (especially when it’s used as a carpet and for the horrendous show invitations) or fluffy hats. But I doubt that this overdose of 70s psychedelia and 30s technicolor does any good. 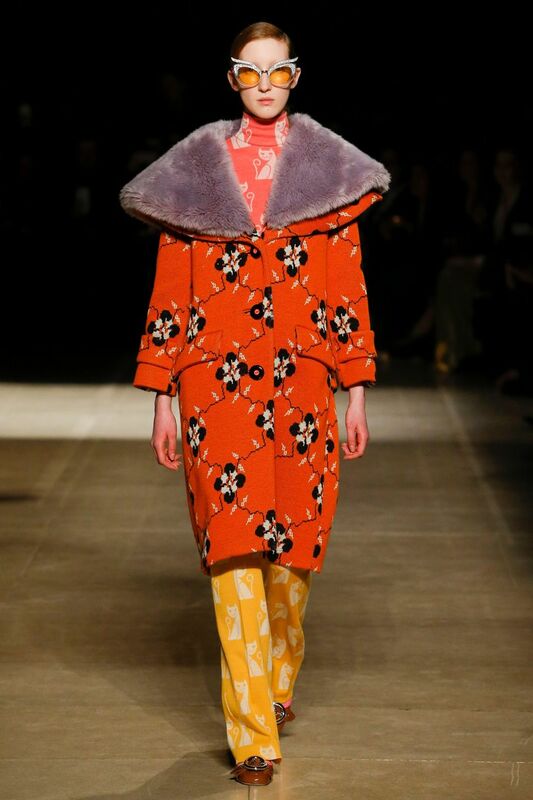 Bold prints, over-sized collars, tiaras, geek boots: although all of them are Miu Miu signatures, this time they feel senseless combined together. In other words, the collection looks ridiculous. 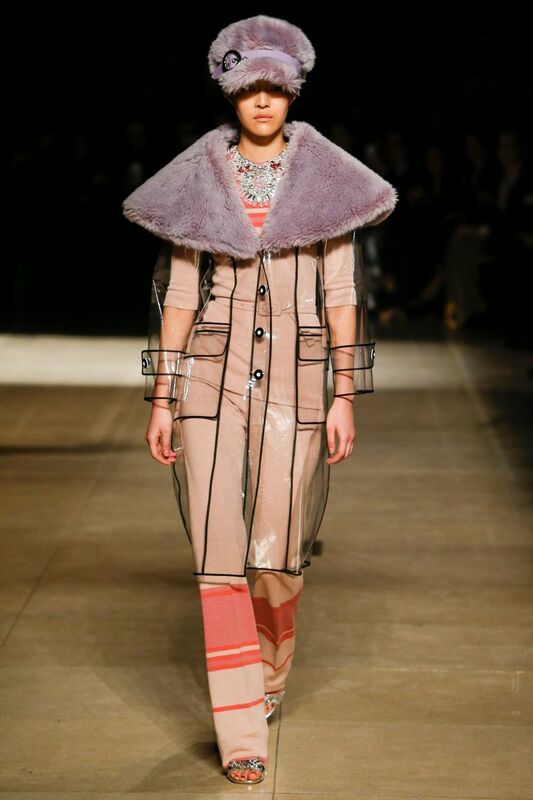 And surely incomparable to Prada collection (which was presented a few weeks ago in Milan), where the designer took us to another level of femininity. Who is the Miu Miu girl? This entry was posted in PFW, Trend Reports and tagged AW17, Miu Miu, paris fashion week, pfw. Bookmark the permalink.